Happiness is Majestic in this beautiful studio condo. 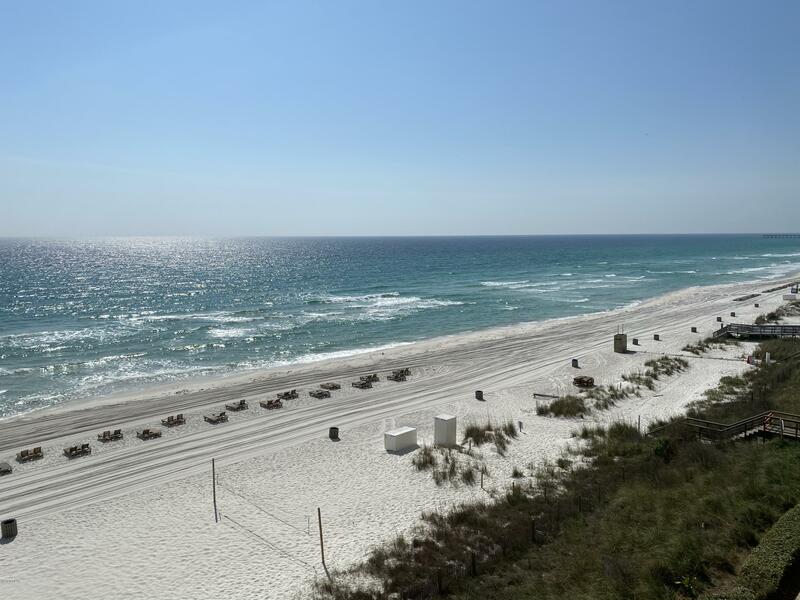 You will have views for miles of the Gulf of Mexico and a front seat view of the most beautiful white sandy beaches from the balcony. This condo comes fully furnished and offers tile flooring throughout, Quartz countertops, raised ceiling and washer/dryer. Feel like royalty with the amazing amenities to choose from at Majestic Beach Towers, such as, two outdoor Gulf Front pools, two indoor heated pools, hot tubs, kiddie pool, fitness center, pool side bar and grill, Starbucks market and cafe, spa, tennis courts, movie theater and conference center. Enjoy shopping, dining and entertainment at the conveniently located Pier Park.